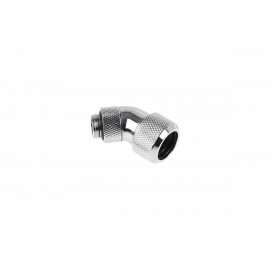 45 degree angled Hardline Fittings cleanly and safely link hardline tubing to water cooling components and parts using a series of o-rings and compression collars. 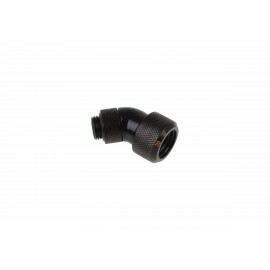 These 45 degree fittings allow you to achieve angles otherwise not possible with bending the hardline itself. In some cases the proper combination of fittings and cuts can allow for a build with no bends to the hard tube at all. 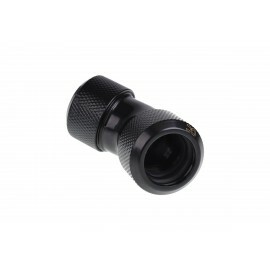 G1/4" threads make them easy to install into most water blocks, radiators and reservoirs. 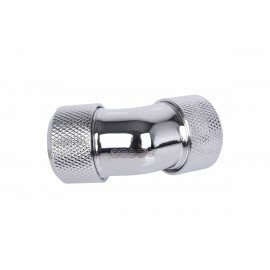 16mm OD hardline fittings can be used in conjunction with 16mm Hardline tubing for a clean, unique look.